A misty start, and rather chilly at first, but it soon warmed up and we had a great day. Busy with boats, meeting somebody at most locks. 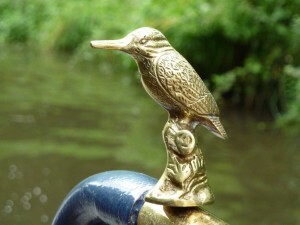 Whilst queueing at Gailey lock we bought a new tiller pin from the boat following us.